Why Iceland? That was a question we were asked a lot by friends, some family and others who couldn’t understand why we chose to spend our half term break here. 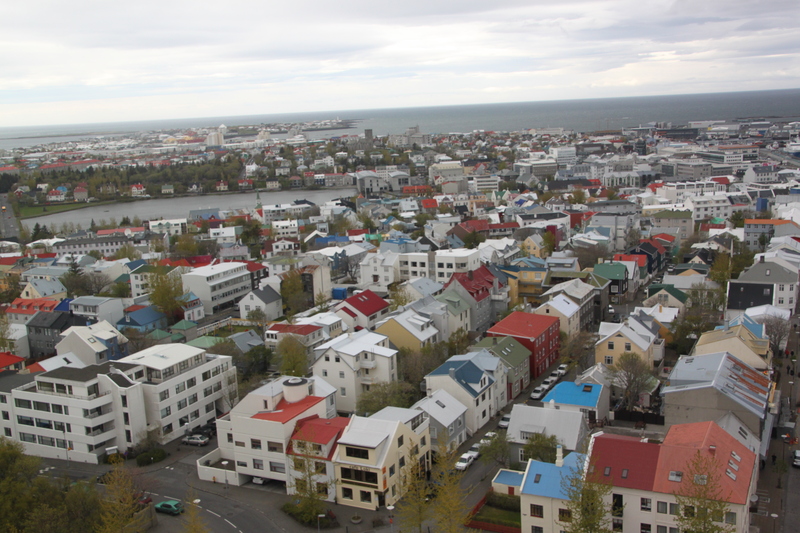 It had featured on my travel list, but we only started to seriously consider Iceland when a low cost airline started offering the Keflavik route from our local airport. That, combined with the fact it is a much more affordable destination than in the past, made up our minds. Iceland, here we come. I must admit, after a cold, wet and generally miserable UK spring, when I started to check out the weather forecast for Iceland in the weeks before our departure, I was not enthused to find colder, wetter and even more miserable weather awaiting our arrival in Reykjavik. Still, what could we do? I just threw lots of winter woollies and layers into the suitcase and hoped for the best. Any sense of dread disappeared the moment I arrived in this beautiful country. I was well and truly won over. It is often cold, wet and yes, miserable weather wise. There is so much to see, do and take-in that you actually don’t really notice the weather (really!). The natural beauty, sights, friendly people and unusual experiences just blew me away. First of the location is amazing. This is an island right on the edge of Europe. It lies on the mid Atlantic ridge, where two Continental plates meet and is right on the edge of the Arctic Circle. Then don’t get me started on the landscape. Vast, beautiful terrain full of natural sights and wonders, the like of which I have never seen before. There is 24 hour daylight in summer, the Northern Lights in winter what more could you want. We saw glaciers, waterfalls, volcanoes, hot springs, geysers but thankfully no earthquakes. Apparently there are 150 earthquakes every day – you just don’t notice. Phew. Lava fields cover 11% of the country and if you go off the beaten track you can drive for miles without seeing any sign of civilisation. It’s a fantastic place to bring children. Our 9 year old was wide eyed with wonder, he loved it as much as we did. The air is pure and clear (no pollution), the glacial waters are also as pure as you can get, there is lots and lots of space. We left, vowing to come back. There are so many places we want to visit in the world and so many things we want to do – just not enough time. For that reason, we don’t often go back to the same place again. We might just make an exception for Iceland. That says it all. Completely agree with what you have said! We can’t wait to visit Iceland, hopefully others will be inspired to visit by our blog like we have been inspired by blogs such as this. Thank you!! Iceland is amazing – we loved everything about it and I would definitely go back!